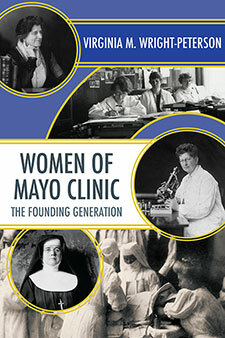 "Some of these stories have been waiting a hundred years to be told," says Virginia Wright-Peterson, author of "Women of Mayo Clinic: The Founding Generation" (Minnesota Historical Society Press, 2016). Her research in the Mayo Clinic archive led to insights that give voice to women whose stories deserve to be celebrated -- and a new perspective on the contributions of women throughout the early years of Mayo's history. Compelling display of photographs and narratives, accompanied by artifacts from the Mayo Clinic historical collection. Dolores Jean Lavins Center for Humanities in Medicine, with generous support from the Jack Taylor Family Foundation in honor of Joseph M. Kiely, M.D. Virginia Wright-Peterson, Ph.D., is a native of Rochester, Minnesota. 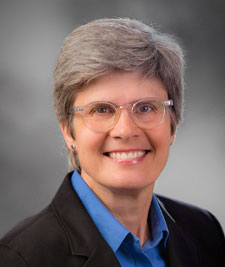 She worked for 17 years as a Mayo Clinic administrator in Minnesota and Arizona, and earned the doctoral degree in English from the University of Nebraska-Lincoln. She has taught college-level English and humanities for 13 years and currently serves on the writing faculty of the University of Minnesota Rochester.